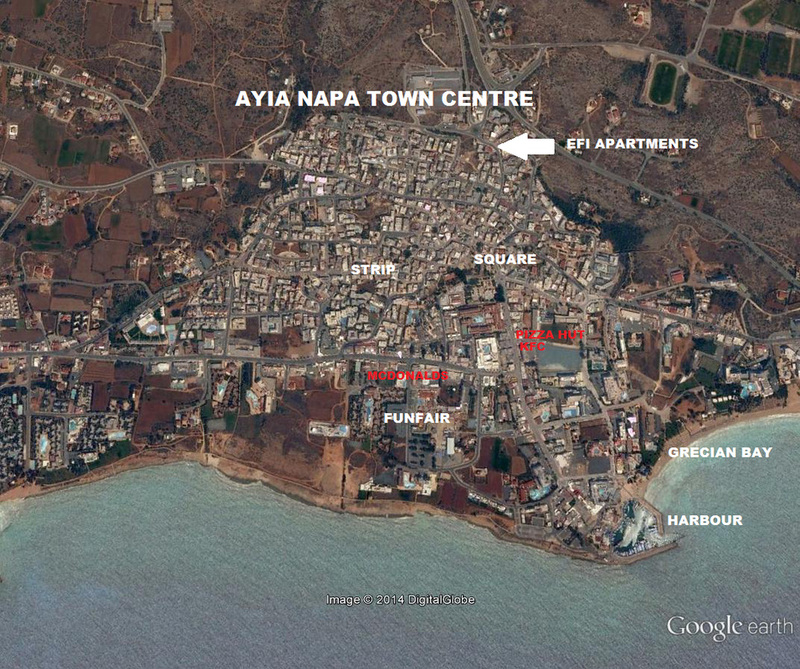 The Efi Apartments is a small complex of studios and apartments in an excellent location just a few minutes walk uphill from the main square of Ayia Napa with it's bars and clubs. This is an ideal place to stay for anyone looking for a basic but lively base from which to make the most of the night life in the town. All rooms come with a kitchenette with fridge, a balcony or terrace and air conditioning is available with a local charge. The apartments have a small pool surrounded by a sun terrace and a poolside bar which serves snacks. There is also a pool table, reception is open 24 hours and wi-fi is available.